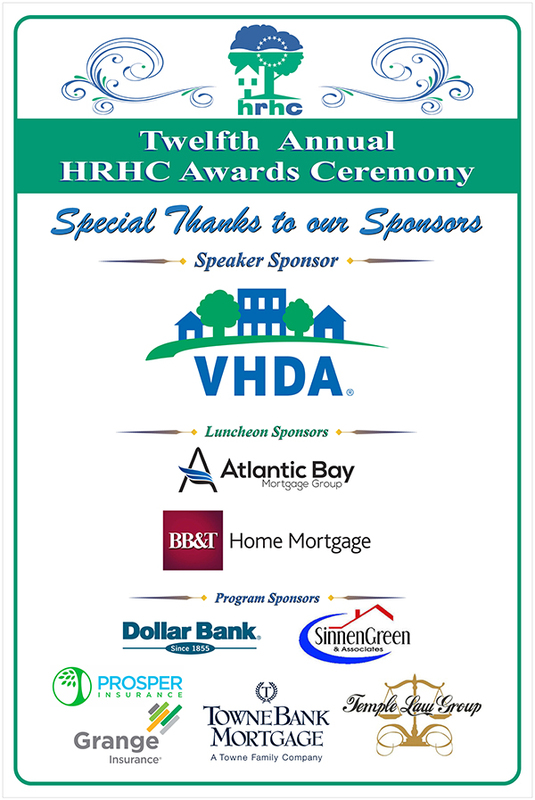 Hampton Roads Housing Consortium (HRHC) is a voluntary association of governmental, private and non-profit organizations and individuals committed to improving affordable housing opportunities in the Hampton Roads region of Virginia. The HRHC serves as a regional vehicle to promote and facilitate excellent and affordable housing opportunities within Hampton Roads. HRHC believes that households of all income levels deserve a fair opportunity to purchase or rent housing that is safe, affordable and suitable for their needs. The HRHC also supports adequate housing for persons with special needs including the disabled, elderly and homeless. Congratualtions to our 2018 HRHC Award Recipients. Membership Drive is underway. Click here to pay online.